Heavy Duty Metal Protector Made with special rust and corrosion inhibitors. Excellent on metal surfaces, leaves a long-lasting protective coating. 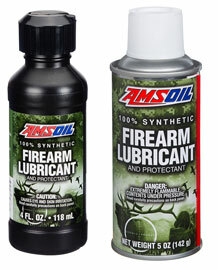 Protects against the effects of salt, moisture & chemical corrosion. Works as an undercoat, leaving a wax-like amber film. Miracle Wash Waterless Wash and Wax Spray Miracle Wash® Waterless Wash & Wax (AMW) is a unique dry car wash and wax that delivers outstanding performance and quick, easy and economical application. No water is required; specially formulated surfactants lift dirt and other particles from the surface and hold them in suspension. 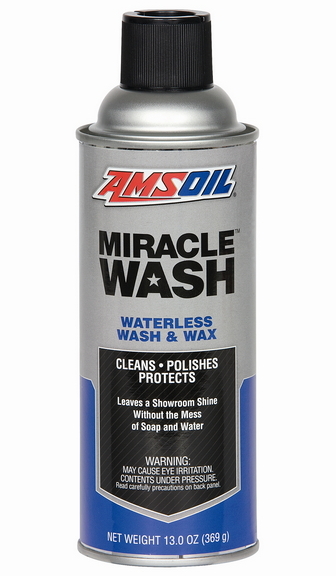 Miracle Wash then acts as a shield, protecting the surface from abrasion while you wipe the dirt clean. Power Foam® Carburetor and Induction System Cleaner for Two - and Four-Stroke Gasoline Engines Improves engine performance by removing gum, varnish and carbon deposits that affect power, operation, idle and fuel economy. Power Foam cleans intake valves, intake manifolds and throttle plates to keep the combustion intake system running at peak efficiency. 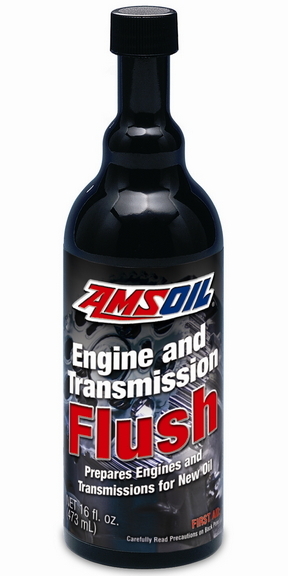 Helps reduce engine ping and keeps carburetors and injector systems operating like new. Heavy-Duty Degreaser Fast-Acting Equipment and Surface Degreaser AMSOIL Heavy-Duty Degreaser (ADG) is formulated with powerful and fast-acting solvents, attacking petroleum-based grime on a molecular level to loosen its hold on metal, concrete, engines and other surfaces. Its active citrus formula makes cleaning easy and leaves a clean scent. 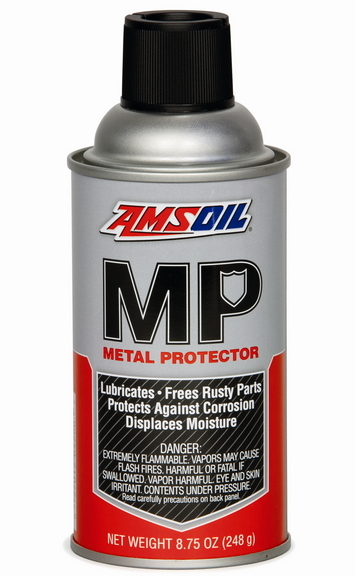 Silicone Spray Lubricates and Protects Nonmetal Surfaces AMSOIL Silicone Spray protects with a dry lubricating film ideal for surfaces that may be damaged by conventional lubricants such as grease or oil. 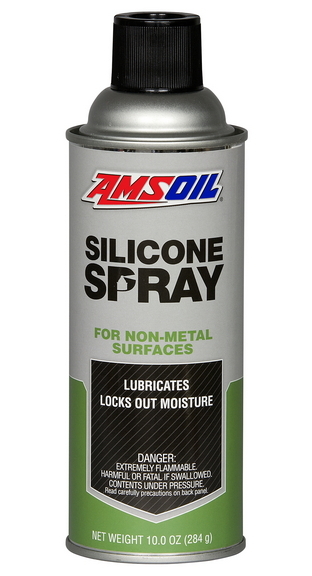 AMSOIL Silicone Spray also helps prevent the cracking and drying of rubber and locks out moisture. It will not attract dust or dirt, keeping applications contaminant-free. 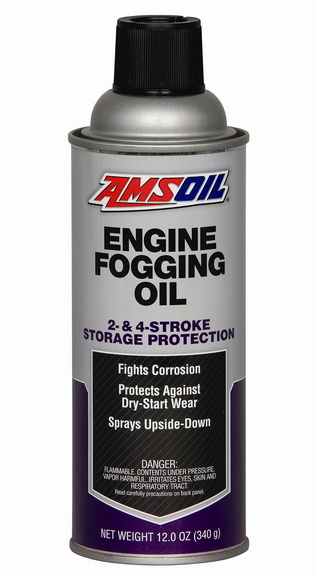 Engine Fogging Oil A highly-effective rust preventative designed to protect internal engine components during storage or long periods of inactivity. Ideal for outboard motors, lawn and garden equipment, motorcycles, snowmobiles, ATVs, motor homes and generators or any equipment with a two- or four-stroke engine. Engine and Transmission Flush Prepares Engines and Transmissions For New Oil Engineered for both gasoline and diesel engines and automatic transmissions. Helps improve operating efficiency, increase fuel economy and reduce emissions. Chain Lube Spray penetrates deep into the pins and bushings of chains and leaves a protective coating that will not fling off or attract dirt, dust, sand or grit.